The program is arranged as a series of pods distributed throughout the property, each having its own unique features and view opportunities. The pods are programmatically assigned as two sleeping pods with common areas, media room, master suite and main living space. 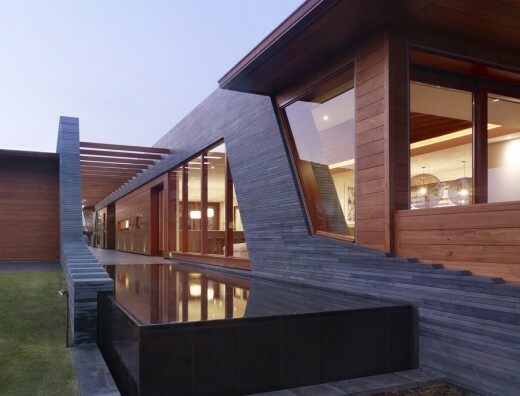 An exterior gallery corridor becomes the organizational and focal feature for the entire house, connecting the two pods along a central axis. To help maintain the environmental sensitivity of the house, two separate arrays of roof mounted photovoltaic panels offset the residence energy usage while the choice of darker lava stone help heat the pool water via solar radiation. Rain water collection and redirection to three drywells that replenish the aquifer are implemented throughout the property. 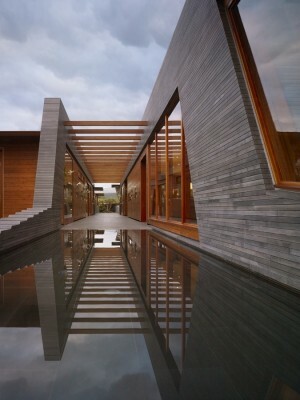 Reclaimed teak timber from old barns and train tracks are recycled for the exterior of the home. 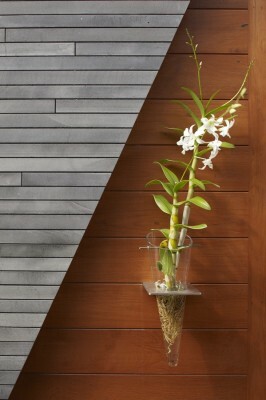 Coupled with stacked and cut lava rock, the two materials form a historically driven medium embedded in Hawaiian tradition. 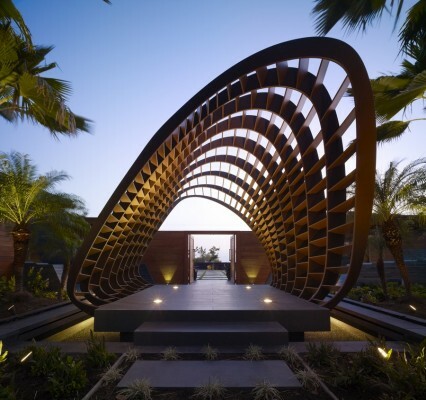 Local basket weaving culture was the inspiration for the entry pavilion which reenacts the traditional gift upon arrival ceremony. 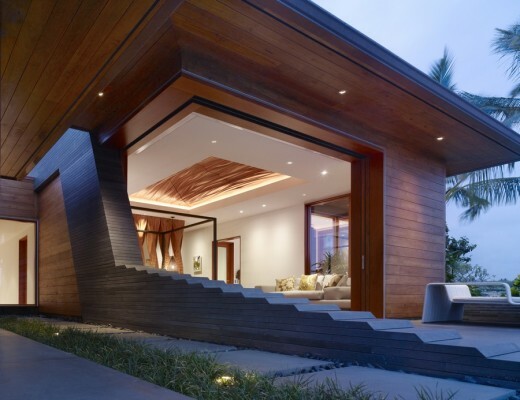 Various digitally sculpted wood ceilings and screens, throughout the house, continue the abstract approach to traditional Hawaiian wood carving further infusing traditional elements into the contemporary arrangement. Structural Consultant William Blakeney Inc.
Electrical Consultant Lighting & Engineering Integrated, Inc.
General Contractor Tinguely Development, Inc.
Landscaping Joe Roderick Hawaiian Landscapes, Inc.